Ladies, let's admit it, we all want longer hair, and we want it now right? And why shouldn't we? After all, when we get inspired by a hairstyle we see on someone else, don't we instantly want it? Unfortunately, hair grows at what I refer to as a snail's pace, only averaging about 1/2 inch per month. And that is if your hair is healthy. Damaged and unhealthy hair can grow even slower. At that rate, it would take the average person with healthy hair about one year to grow six inches of hair. In six months you should have at least three inches of growth. So what exactly can be done to hair to make it grow faster? Unfortunately, there is really nothing that can be done to make it grow substantially faster. However, there are a few things that can be done to help you grow it longer and retain all of the length you do get. The good news is that your hair is always growing. However, sometimes we have to cut what has grown for reasons like, split ends, damage, etc. 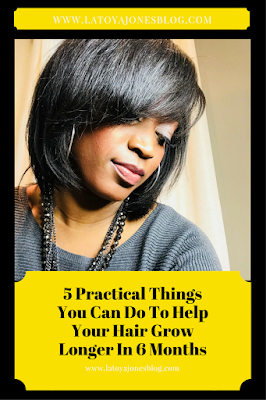 Here are a few ways to help your hair grow longer and retain all of our new growth. Eat a well balanced diet- Believe it or not, eating a well balanced diet is very important on the hair because it allows us to get the proper nutrients in our body. If your body is properly nourished, your blood circulates better in your body, including your scalp. Increased blood circulation equals better hair growth. Get where I'm going here? Bottom line is eat up on those fruits and veggies and your hair will also see the benefits. Drink water- This ties in to #1 but I have seen the benefits of drinking the recommended amount of water first hand. The recommended amount of water to drink daily is between half your body weight in ounces. So, if you weigh 200 pounds, you should drink 100 ounces of water daily. When I did my water challenge I saw changes in my hair very quickly. It seemed to need less oil, and I noticed that I had new growth faster than I normally did. Wrap your hair- Wrapping your hair helps your ends not split as fast which means that you retain more of your length as your hair grows. So make sure you wrap it every single night, even if you know you are getting it done the next day! If you can not wrap your hair, tie it up with your satin cap. 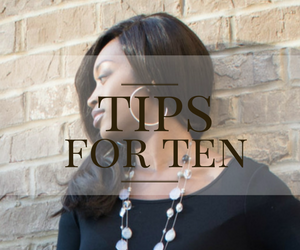 Trim your ends regularly- Trimming your ends on a regular basis does NOT help your hair grow, but it does keep your split ends at bay so that you only have to get a little cut each time. 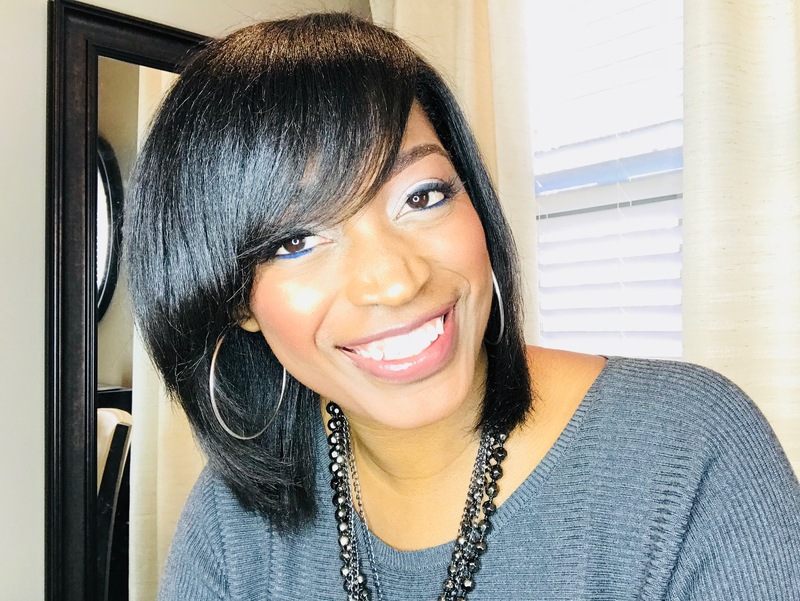 There are so many women who hate getting their ends trimmed and by the time they do, they end up cutting as much as they grew because the ends had split so far up the hair shaft. Don't be scared to trim your ends. 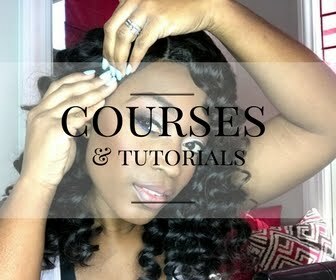 Split ends to make the hair appear longer, but it's not healthy nor does it look good to have long hair but raggedy ends. Keep a consistent schedule with it (everyone is different but 8-10 weeks is good) and you will notice more of your new growth being retained thus making your hair longer. Watch the heat- I recommend only using heat in your hair once per week or less. Not only that, only use the temperature that your hair requires. Never use the highest heat setting unless your hair is extremely thick and chemical free. That type of hair can take it but most women have average hair which can take between 375-400 degrees. The Toi by L. Jones flat iron goes up to 480 degrees but using it on a temp that high is not required for majority of people. Constantly putting heat on your hair or using your heating tool at a temp that is too high will result in heat damage that leads to hair breakage which leads to SHORTER hair! Heat can be your friend when used correctly. BONUS** Use high quality products- Using only high quality products (like these) is imperative for your hair growth journey. 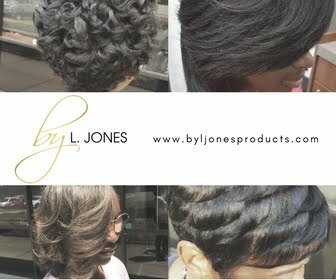 High quality products simply means that no products that are harsh to the hair are included in the formula.